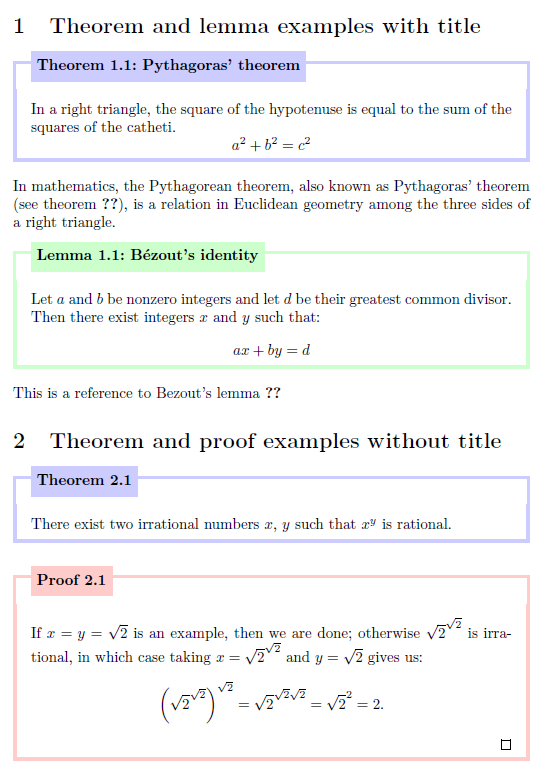 The following is the code I downloaded from the Internet: a ordinary environment of theorem. the squares of the catheti. 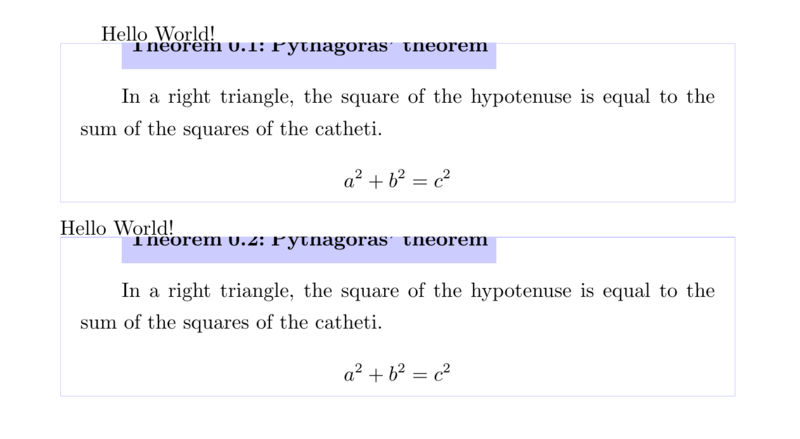 In a right triangle, the square of the hypotenuse is equal to the sum of the squares of the catheti. Browse other questions tagged pdftex mdframed cjk bugs or ask your own question. Using mdframed package with pstricks option in pdflatex possible?